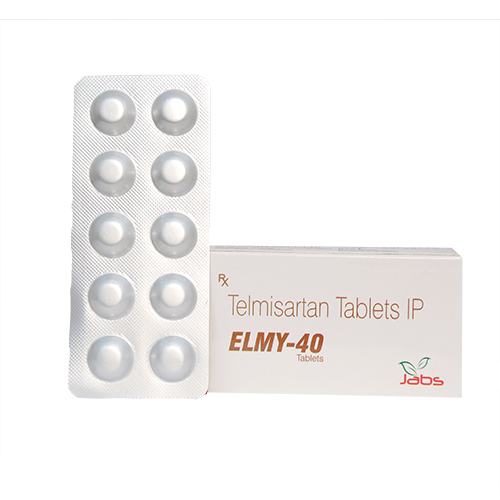 Telmisartan belongs to a class of medications known as angiotensin II receptor antagonists. These medications reduce blood pressure by blocking the actions of a chemical (angiotensin II) that causes blood vessels to constrict or tighten. It is used to treat mild to moderate high blood pressure.When blood pressure is allowed to remain high for a long time, the blood vessels of the heart, kidneys, and brain may become damaged. This puts a person at increased risk for heart attack and stroke as well as kidney failure and blindness. Keeping blood pressure in the normal range can reduce the risk for these conditions.Telmisartan is also used to reduce the risk of death after a heart attack in people who cannot use another type of medication called angiotensin-converting enzyme inhibitor. The usually effective dose is 40 mg once daily. 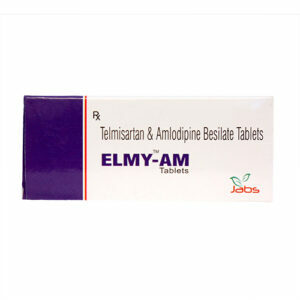 As with other medicinal products acting on the renin-angiotensin-aldosterone system, telmisartan may provoke hyperkalaemia. The risk may increase in case of treatment combination with other medicinal products that may also provoke hyperkalaemia (salt substitutes containing potassium, potassium-sparing diuretics, ACE inhibitors, angiotensin II receptor antagonists, non steroidal anti-inflammatory medicinal products, heparin, immunosuppressives, and trimethoprim. Angiotensin II receptor antagonists such as telmisartan attenuate diuretic induced potassium loss. Potassium sparing diuretics e.g. spirinolactone, eplerenone, triamterene, or amiloride, potassium supplements, or potassium-containing salt substitutes may lead to a significant increase in serum potassium. If concomitant use is indicated because of documented hypokalaemia, they should be used with caution and with frequent monitoring of serum potassium. 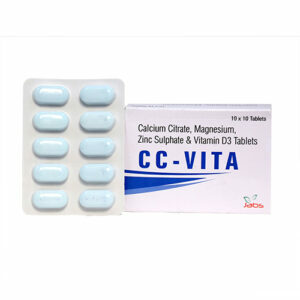 NSAIDs (i.e. acetylsalicylic acid at anti-inflammatory dosage regimens, COX-2 inhibitors and nonselective NSAIDs) may reduce the antihypertensive effect of angiotensin II receptor antagonists. In some patients with compromised renal function (e.g. dehydrated patients or elderly patients with compromised renal function) the co-administration of angiotensin II receptor antagonists and agents that inhibit cyclo-oxygenase may result in further deterioration of renal function, including possible acute renal failure, which is usually reversible. Therefore, the combination should be administered with caution, especially in the elderly. Patients should be adequately hydrated and consideration should be given to monitoring of renal function after initiation of concomitant therapy and periodically thereafter. 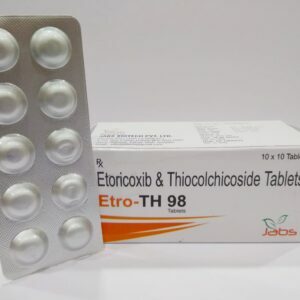 Reduction of the antihypertensive effect.